S'mores make us think of sitting around a campfire roasting marshmallows to make these delicious gooey treats. This is a guide about making s'mores. My Grandson Jon made up this recipe so his younger cousin would not have to be near fire! He was 9 and his cousin was 4. Take some marshmallow creme and a knife. 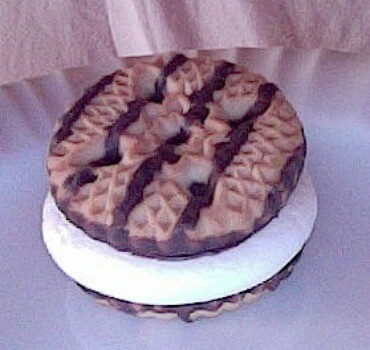 Put the marshmallow creme on a graham cracker. Then take chocolate syrup and pour it on the cracker. Then put another cracker on top. Then you eat it. For Lance, you break it in half. 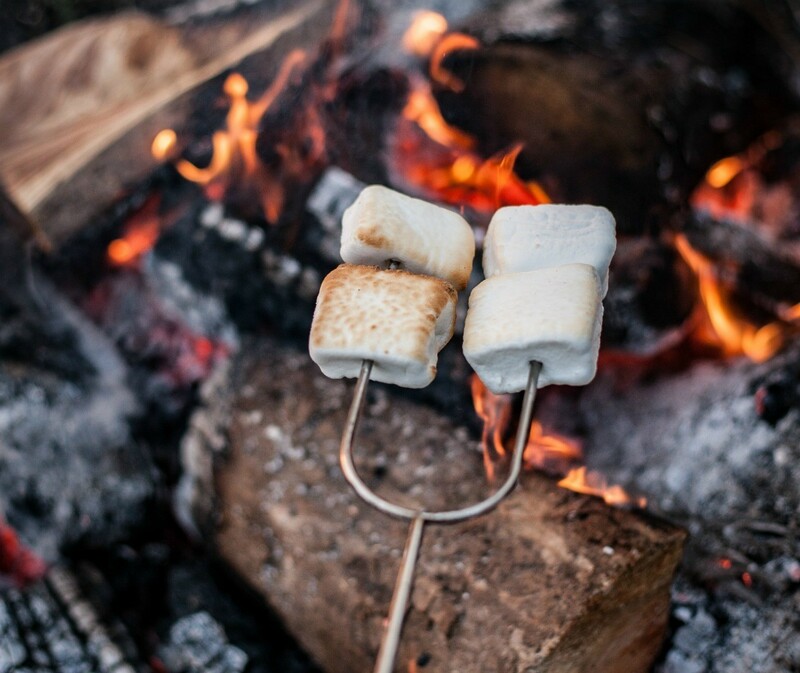 You don't have to go camping to enjoy some deliciously sweet s'mores. You can bake them up and enjoy them at home any time you want a special treat. This is a guide about making baked s'mores. A "S'mores Bar" is a fun and inexpensive way to spruce up a backyard wedding reception. A table filled with different sized glass jars containing the s'mores ingredients look great and welcome fun. And don't just stick with the classic chocolate bars and marshmallows, be sure to include flavored marshmallows (the coconut ones went great at our wedding!) and mini candy bars of all types! If you do not like the idea of having a bonfire, you can buy or rent a cast iron fire pit. Stores like Target often has them on clearance during the winter months. This is a guide about easier cleaning of s'mores skewers. Burnt on marshmallow can be a challenge to clean. Soaking the skewers overnight in soapy water may make it easier. Browned and melting with chocolate! I just made some and Wow! Having a BBQ on the grill? 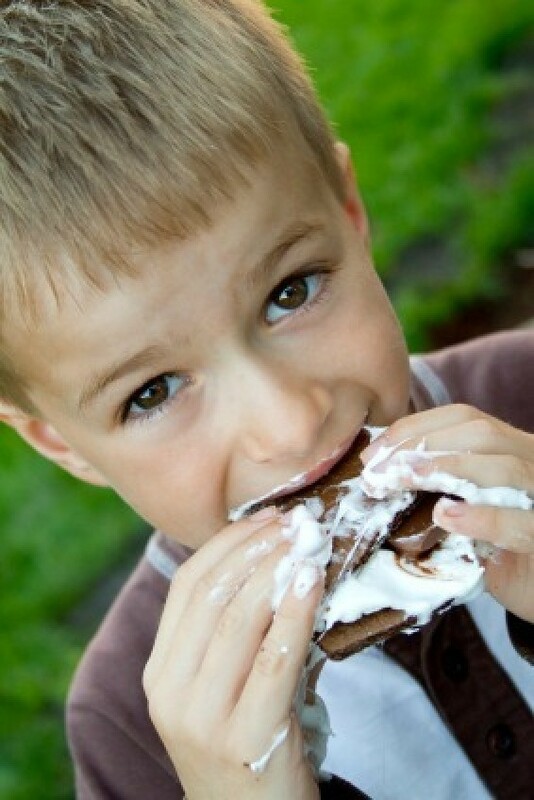 Why not make some s'mores too and it's mess free! 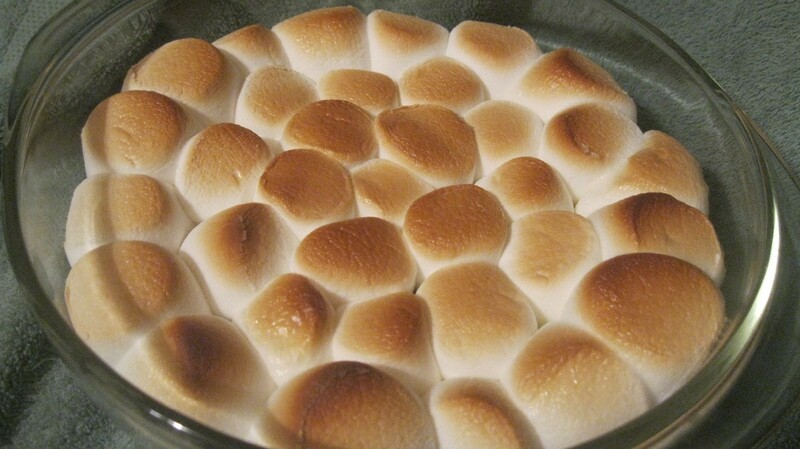 Everyone will love this yummy S'mores dip that can be enjoyed any time of year. This guide contains S'mores dip recipe. 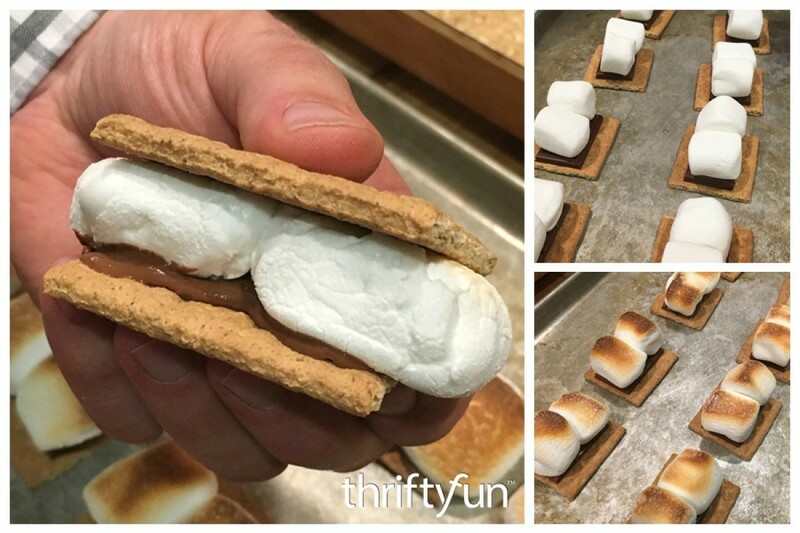 This is a guide about making two ingredient s'mores. 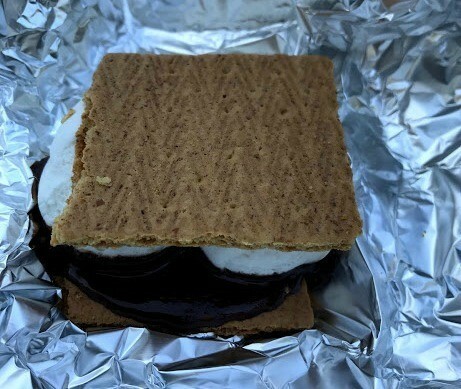 When you use chocolate covered graham crackers or cookies, you won't need to buy the chocolate bars to still have delicious s'mores.